Manchester United to sign Edinson Cavani Premier League club Manchester united have reignited their interested in Paris Saint Germain striker Edinson Cavani. 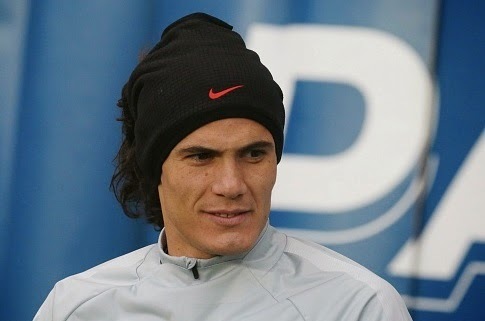 Premier League club Manchester united have reignited their interested in Paris Saint Germain striker Edinson Cavani who will be available in the summer. Manchester United were once linked with him in the last summer but failed to land him and signed Radamel Falcao on a two year loan deal from Monaco. Premier League rivals Arsenal and Serie A side AS Roma are also in the race, according to the rumours. Metro reported that Dutch boss Louis van Gaal is planning to re-enter discussions for the Uruguayan star. However, French side PSG have denied to sell their star player Cavani earlier this month but with recent reports they will only accept a £50million offer only for the summer move. The 27-year-old is keen to leave the Ligue 1 side as he struggles in getting his favourite role at Parc des Princes due to the presence of Zlatan Ibrahimovic. The 6feet 2inch striker joined PSG from Napoli for a fee around €64.5 million in 2013. He has scored 39 goals in 66 appearances.